The province has signed a health-care funding agreement with the federal government after holding out for nearly a year. Manitoba has signed a health-care funding agreement with the federal government after months of delay. The province was the final hold-out to a deal that includes three per cent annual increases to the Canada Health Transfer and an $11 billion national fund for mental health, addiction support and home care programs. Now, Manitoba will receive an extra $10.9 million — $399.6 million over 10 years — earmarked for home care and mental health services. The province signed on with the promise of a one-time, $5-million federal payment this fiscal year to fight kidney disease and address the growing use of opioids. "We now have a pan-Canadian agreement," Jane Philpott, the federal health minister said Monday. "All provinces and territories have agreed to the forward work we're going to do." The agreement requires the province to present a plan to the federal government and the public on how they will spend their targeted funds. "Better health-care systems are not always about increasing money," she said. "We need to get better value for the money that we're already investing." 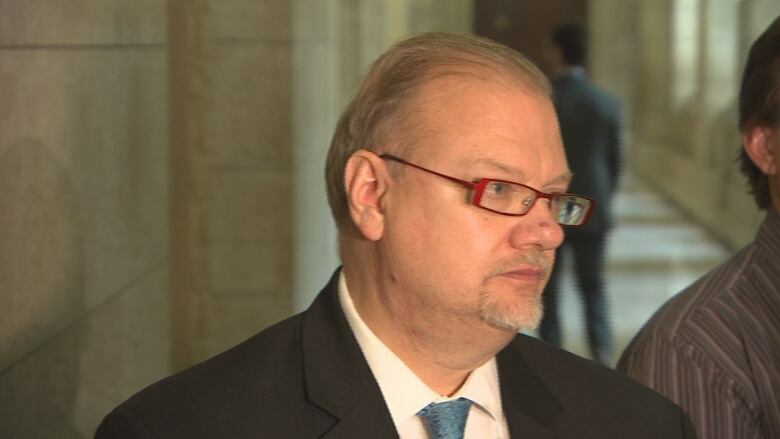 Manitoba Health Minister Kelvin Goertzen disagreed with the language of the agreement, saying it's not truly "pan-Canadian" if everyone doesn't agree to the same deal. "What we have is a series of bilateral agreements across Canada," Kelvin Goertzen told CBC News. "I certainly wouldn't consider it pan-Canadian." Last year, Ottawa announced the Canada Health Transfer would increase by three per cent, down from six per cent increases the provinces had been receiving. While provinces did not like what was perceived as a cut, each eventually signed onto the deal after Ottawa sweeteend the deal with targeted signing agreements, like funding for opioid addiction help. NDP Health Critic Matt Wiebe criticized Premier Brian Pallister's government for taking several months to sign on. "He's created a climate of confrontation and he's actually not working on a better deal for Manitobans on a whole number of fronts," said Wiebe, referring to talks around climate change and fixing the railway to Churchill. Goertzen said he has no regrets about waiting months longer than other provinces to sign on. "It was the right thing to do," he said. "We raised awareness not only in Manitoba but across Canada that health care, the way it's funded now, isn't sustainable.​"
That is one issue both the NDP and Progressive Conservatives parties agree on — three per cent is not a large enough increase to cover growing health-care costs, they say. "We have not signed on or agreed that the three per cent is good for health care in Canada, either in Manitoba or in other provinces," Goertzen said. Provincial and territorial health ministers presented a united front last fall against Ottawa's insistence that the three per cent annualized increase was a "reasonable escalator," saying that rate was too low to keep pace with a rapidly aging population. But one by one, other provinces eventually signed on to a health deal. Manitoba Keewatinowi Okimakanak, a advocacy group the represents 30 First Nation communities in Manitoba's north, praised the federal and provincial governments for striking a deal that will see millions flow into mental health and home care support. MKO Grand Chief Sheila North Wilson called it a "promising step toward greater co-operation between governments." Her organization hopes to play a role in deciding how health care dollars are spent in Indigenous communities. Premier Brian Pallister said in March in a letter addressed to Prime Minister Justin Trudeau he wanted to see more funding for kidney disease support, Indigenous health care and money to cover medical transportation costs before he signed onto any deal. The province said it plans to work with the federal government and Indigenous organizations to improve health care in remote communities. Both the federal and provincial governments said they plan to co-ordinate procurement for patient transportation, which may help lower those costs.